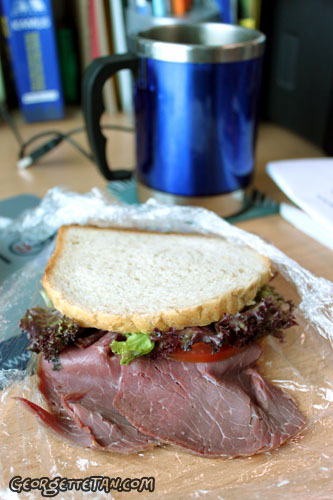 A Sunday lunch at my desk, with a beef ham sammich from Delizze and a mug of warm 3-in-1 coffee. Not pictured is my container of watermelon and grapes. Simple and satisfying for days when you can’t be bothered to go out.